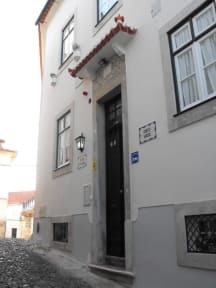 Casa Pombal is a small bed & breakfast on the top of a hill in the historical heart of Coimbra. This old townhouse is utterly unpretentious and will stir feelings of nostalgia for those student years. Due to the limited number of rooms, personal care is guaranteed. The dutch manager and her staff are very willing to give lots of local information. Included in the price is a dutch breakfast served in the common room, decorated with fine tiles. Guests can also meet on the small vine-covered patio. Credit Card Facilities except American Express. Check in time from 2pm until 10pm. This is a perfect place for a base in Coimbra. It's tucked on top of the hill near the university, so a perfect location. The staff was very friendly and helpful, going out of their way to recommend activities and help with logistics (look up bus schedules, call taxis, make reservations, etc.). Clean rooms, great breakfast. I would definitely stay here again! LOVED it here. The staff were so kind and helpful! They spent a lot of time explaining the city and helping us plan, and even provided maps where they marked what we should see. 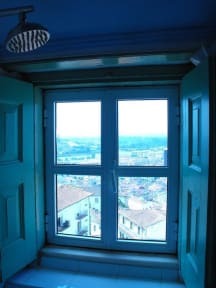 Centrally located; bit of a steep walk uphill from downtown Coimbra but so is everything. The walls shared with neighbors are thin so definitely bring earplugs. Great unique breakfast with some Dutch things (sprinkles, jam) and fresh fruit included. House was very clean and had a great friendly atmosphere.